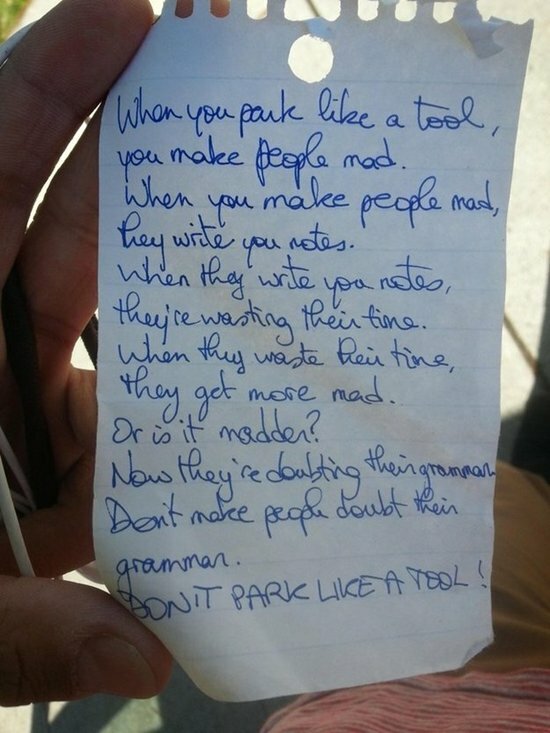 We’ve all seen people park badly. 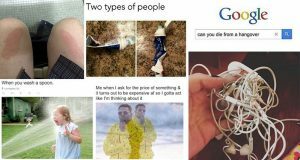 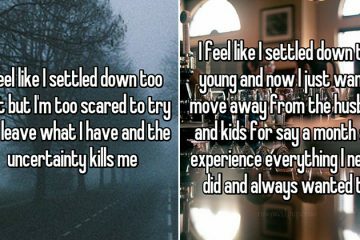 We mean, really badly. 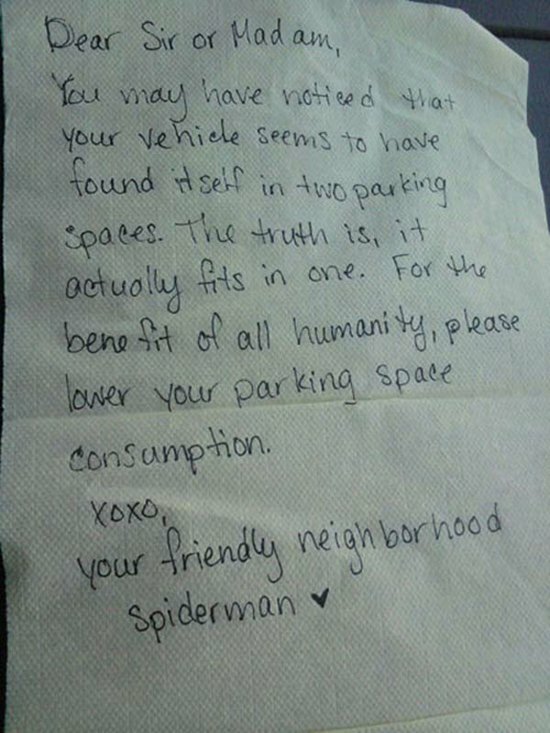 Maybe you’re even a bad parker yourself. 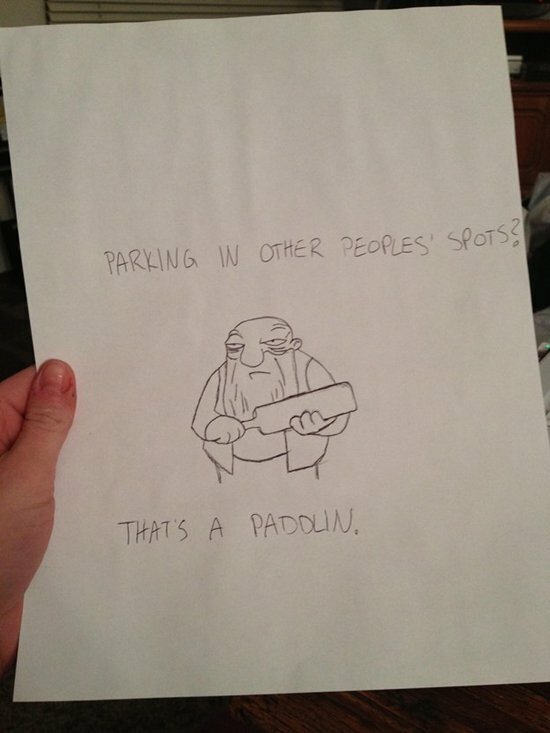 If someone’s just a little bit wonky, it’s no big deal, but it’s when these drivers get inconsiderate, taking up multiple spaces or getting right in the way, that it starts to get frustrating. 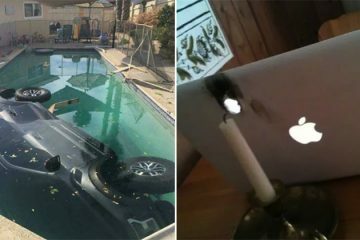 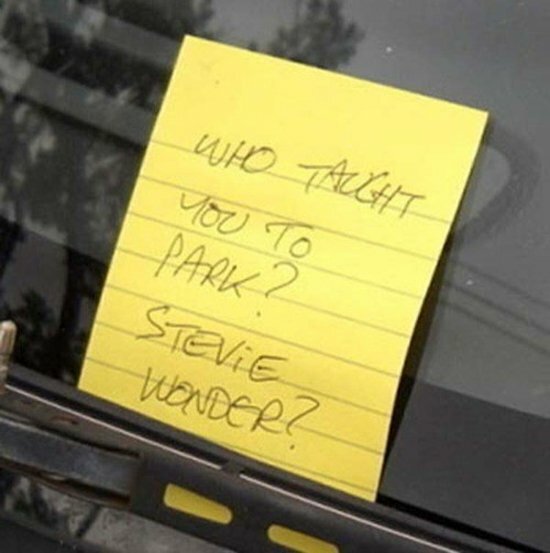 In cases like this, some people decide to leave a note for the owner of the badly-parked car. 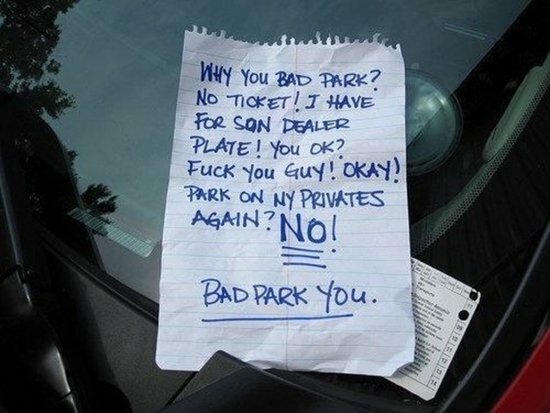 These kinds of notes can range from humorous to downright angry, depending on the writer. 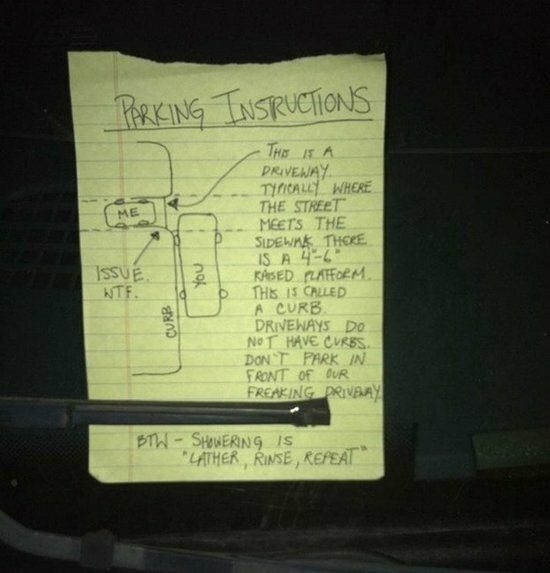 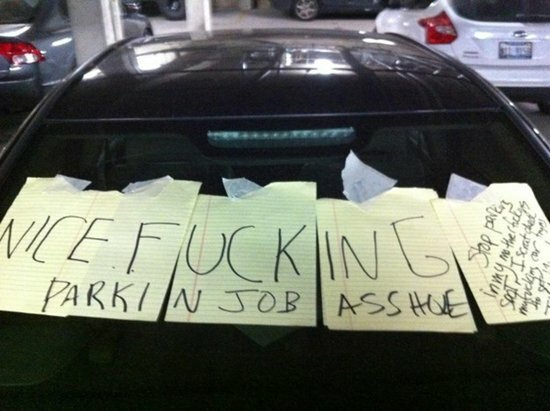 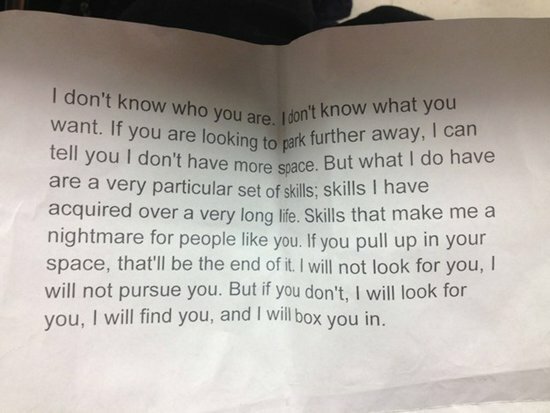 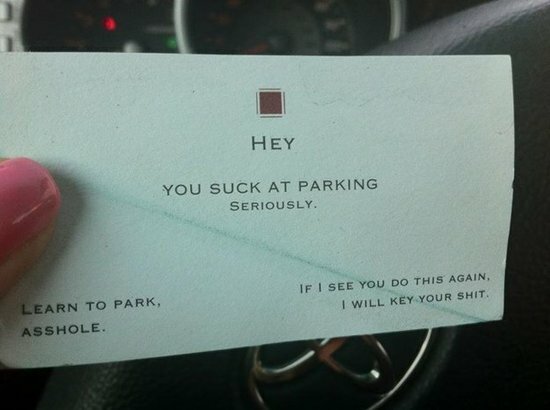 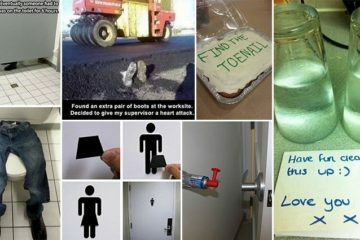 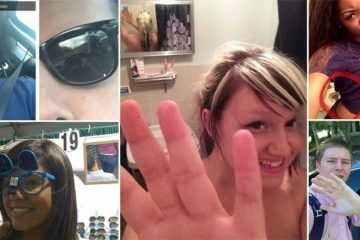 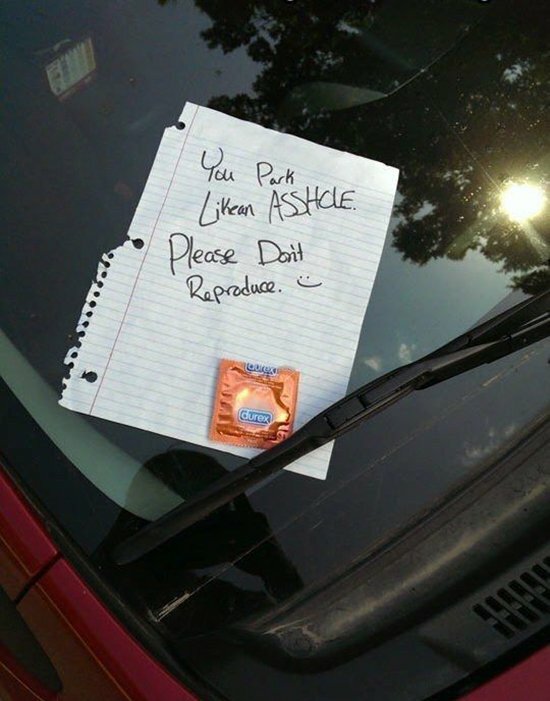 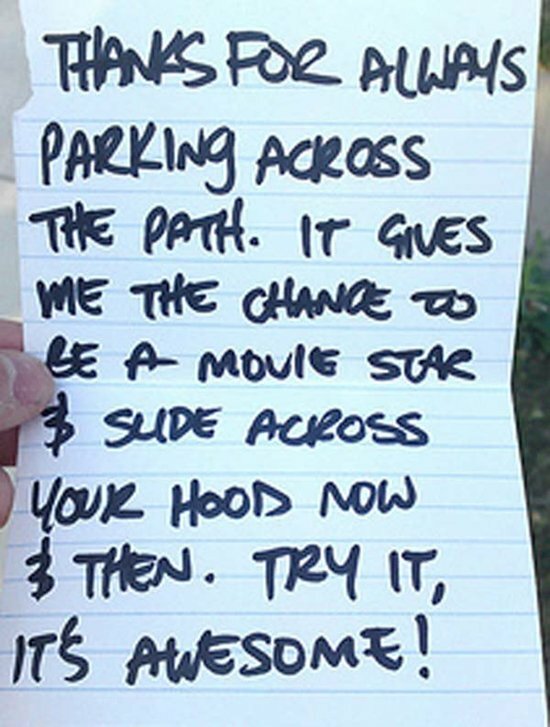 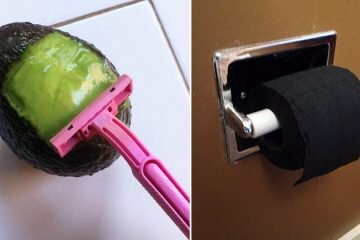 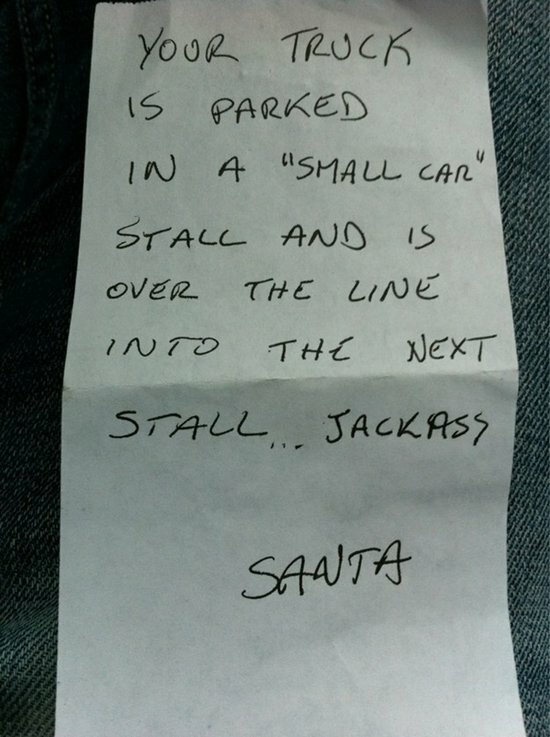 Check out these twelve amusing notes left for inconsiderate parkers.